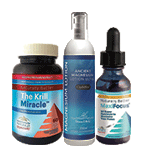 Every month Your Healthy Living gives you the chance to win a selection of fantastic natural health products in our free prize draws. This issue we have: 25 packets (7 x 5.5g) of A.Vogel Balance Mineral Drink to give away, worth £6.99; six winners will receive a £50 voucher to spend in the Good Health Naturally online store, plus every entrant will win a £5 voucher off a £15 spend; one lucky reader will win three boxes of Lepicol Lighter and some goodies, worth £20; five readers will each win a pack worth £9.99 of Efamol Woman Pure Evening Primrose Oil; four winners will receive a month’s supply of the award-winning Ricola Herbal Sweets flavours, worth £16 each; three readers will win a pack of Turmeric Alive worth £27.99, while everyone who enters will receive a 10 per cent voucher to spend with Living Nutrition. Feeling tired? 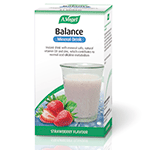 A.Vogel Balance Mineral Drink may be a good choice for you. This naturally flavoured mineral drink contains zinc, potassium, vitamin D3, calcium and magnesium to replenish electrolytes and reduce tiredness and fatigue. We have 25 packets (7 x 5.5g) of this delicious strawberry-flavoured instant drink to give away, worth £6.99. Lepicol Lighter is a natural food supplement containing glucomannan to help you feel fuller for longer, chromium to help balance your sugar levels and seven strains of live bacteria to help keep your digestive system healthy and balanced. 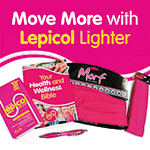 One lucky reader will win three boxes of Lepicol Lighter and some goodies, worth £20, to support you on your healthy lifestyle journey. 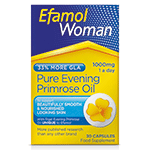 A healthy, balanced diet, lots of water and early nights will help our skin to look fresh but why not try a little extra support with Efamol Woman Pure Evening Primrose Oil? Evening Primrose Oil (EPO) helps support nourished-looking skin and can help to keep skin looking beautiful and smooth. Five readers will each win a pack worth £9.99. Ricola Herbal Sweets combine 13 Swiss mountain herbs with natural fruit and plant extracts so that you can enjoy delicious moments of calm and refreshment throughout the day. 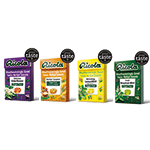 To celebrate winning four Great Taste Awards, four winners will receive a month’s supply of the award-winning Ricola flavours, worth £16 each. Living Nutrition Alive supplements use a Kefir-Kombucha fermentation to bio-activate wholefoods and herbs for optimum absorption. 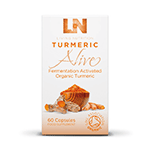 Turmeric Alive is a month-long fermented Organic Turmeric providing a synergistic spectrum of active curcumins, plus ginger for increased bio-availability. Three readers will win a pack worth £27.99. Everyone who enters receives a 10 per cent voucher to spend with Living Nutrition.